a commitment to premier service. Cascade Construction was started in 1977, and has grown over the years to be one of the premier Mason Contractors in Washington. We specialize in high quality commercial, industrial and public works projects. 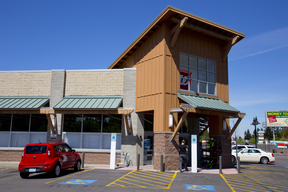 Whether you have a large commercial project, school, Costco, Walgreens, or a community landmark, Cascade Construction has the experience, expertise and skilled craftsmen to meet your construction needs. We can provide the full package beginning at masonry installation and finishing the project with weatherization and maintenance management. Please peruse our website to learn more about our company and the masonry services we offer! Copyright 2014 - Cascade Construction Co., Inc.